Thursday Thoughts: We Have a Source for You! At the Writing Center, we know that Walden University attracts students from all over the globe, which means that we want to provide students with sources they can access 24/7, regardless of what time zone they live in. We also know that students have their own unique learning style preferences, so we developed our different types of sources and services with student’s time zones and learning preferences in mind. For instance, those who are auditory learners might enjoy our live or archived webinars, whereas those who are visual and or kinesthetic learners might enjoy our interactive modules. Of course, at the Writing Center, we believe all students benefit from our tier one service—paper reviews! Our sources are meant to be used on their own or to compliment feedback and revising from paper reviews. And, if students have questions about their paper review feedback, or want to ask a quick writing question, they can contact us through our writingsupport@waldenu email or our chat service. Not sure what source is right for you? 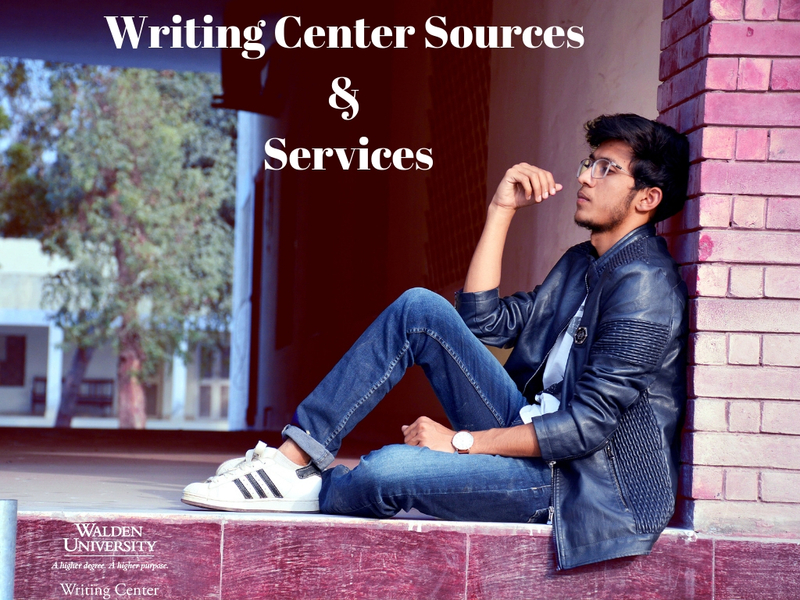 Check out our Writing Center Getting Started page for an overview of our sources and services! The Walden Writing Center provides information and assistance to students with services like live chat, webinars, course visits, paper reviews, podcasts, modules, and the writing center webpages. Through these services they provide students assistance with APA, scholarly writing, and help students gain skills and confidence to enhance their scholarly work.